Getting a veterinary referral and using an insurance claim couldn’t be easier. We work with numerous vets practices around the South East. To get referred by your vet, the most common method is for the vet to recommend you get in touch directly with us providing you with a letter of referral or clinical history. 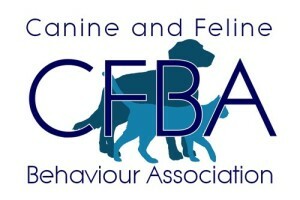 Most pet insurance companies recognise the Canine and Feline Behavioural Association (CFBA) for clients who are referred by their veterinary surgeon. We recommend that you speak with your insurance provider prior to booking a behavioural consultation with us to ensure that you qualify for a consultation and that there are no exceptions for your policy. After the consultation, we will complete all relevant insurance paperwork with you and send a copy of the report to both your vet and insurance company. All fees are payable at the time of the consultation. Only in some cases, will we agree to be paid directly by the Pet Insurance Company. Click on the logo for an insurance referral form.